For class I designed this simple web page in Photoshop. I had already created the logo for this prototype company, and the web page was a natural progression. 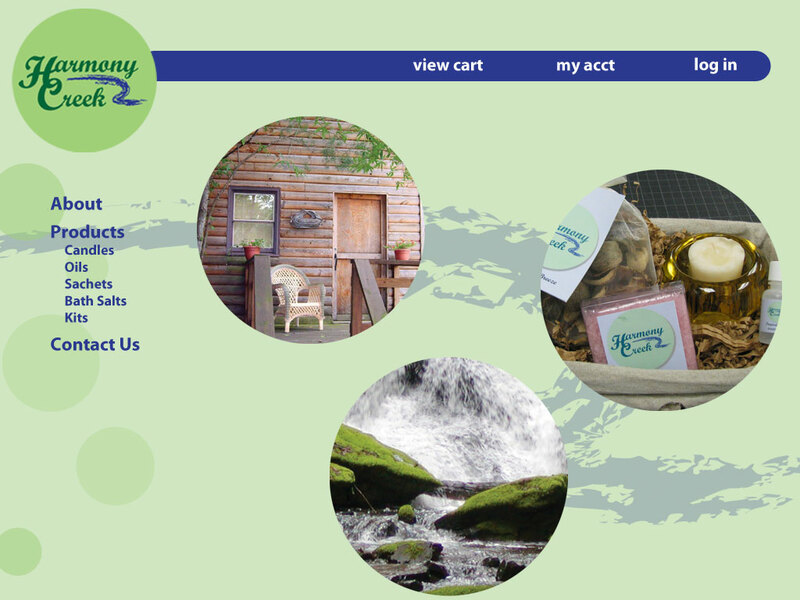 The page would include rollovers on the images for the "About," "Products," and "Contact Us" pages. It would be a fairly easy website to create with html and css if I included a shopping cart plug-in.